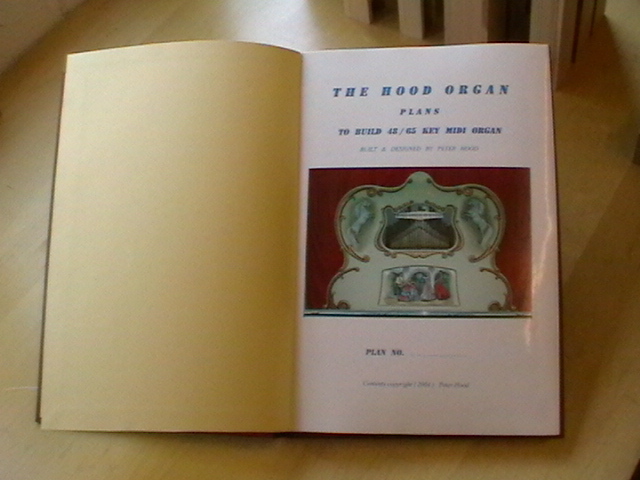 Our own Plan Book for a midi operated ‘Hood’ Organ has been based on our own build ‘Pedrosa’ Organ. 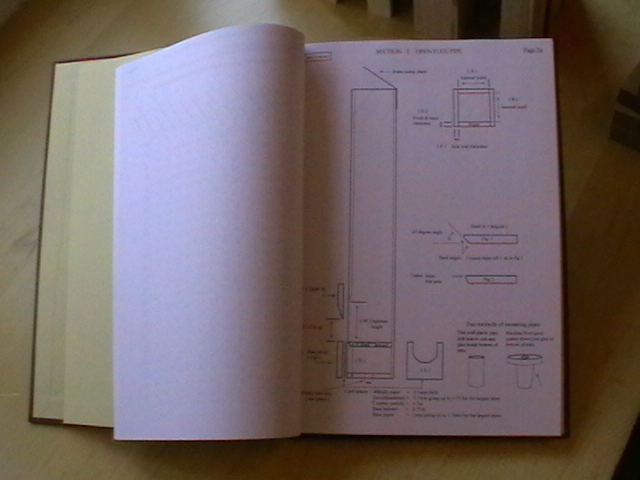 These plans offer you the chance to build an organ to put in a trailer ( as our ‘Pedrosa’ ), however, the critical dimensions and flexibility of the plans allow your build to be much smaller or even larger, should you so wish, in fact the plans can be adapted very much to suit your required size, heeding only the critical dimensions. Once you have built this instrument, you will have the added freedom and adaptability of operating on a midi system, this replaces the book or paper roll operation for playing the music and the need to be in constant attendance, whilst the organ is playing. Peter designed and built our ‘Pedrosa’ Organ and then put it to plans. These plans which are well presented in a hard cover book form, include many colour photos to accompany the written information and include an introductory DVD. 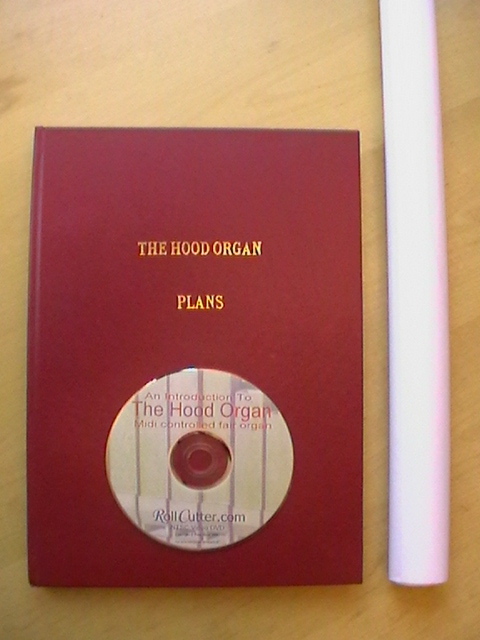 The necessary electronic components and some ready made parts are also available from us for the ‘Hood Organ’ build. Please note that ‘Pedrosa’ is our design, the actual look and decoration of your build, must be to your own design.